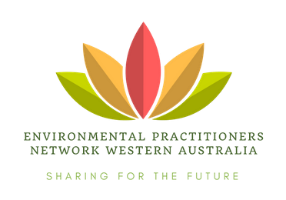 EIANZ WA Division and the Environmental Practitioners Network WA invites you to attend the full day forum: Sharing experiences in environmental practice. The program which is in the process of being developed so that it has content that will appeal to environmental professionals from across industry, who are regulators, consultants or from local government. Most importantly the program includes presentations that should appeal to community conservation groups, land care groups and students. Key to the day will be the opportunities to learn, share experiences and discuss with friends, colleagues and new contacts a range of subjects that form a significant part of the world in which we live, in which we work and which we are all passionate about: the environment. Due to limited parking, we encourage participants to use the nearby train. Participants of this workshop will be provided with lunch and light refreshments. This event will be followed by a Sundowner from 5pm – 7pm.